It’s easy to get caught up in the current of life. Going through the day, blindly running through a to-do list just to get things done, because they are expected, because that is the routine. There are so many demands; spouse, kids, home, work and committees to name a few. And then there are all of the wonderful distractions; television, facebook and smartphones. Purpose can easily get lost in the shuffle. Intention can really make a difference. When you act with deliberate thought, effort and purpose, it shows. Think of the times you received that perfect gift that you did not even know you wanted or would love, deliberate thought was behind that gift. When you put together a meal from scratch with healthy, fresh ingredients it just tastes better and fills the soul as well as the belly, effort was put into that meal. When you participate in a well-planned meeting with direction and energy it’s amazing the teamwork you can cultivate and what you can accomplish together, a purpose was shared. 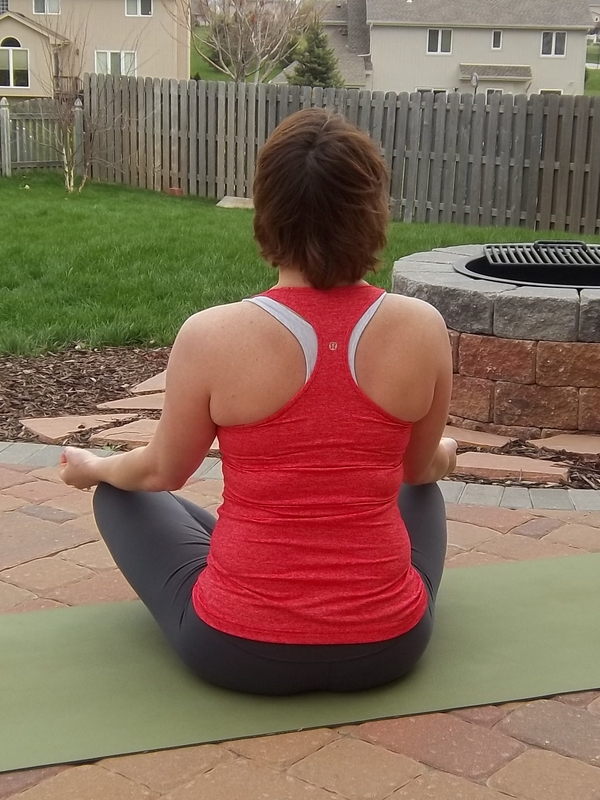 Intention can be nurtured and honed on the yoga mat. At most classes, the teacher will instruct you to set your intention, focus on it and return to it throughout your asana practice. Why are you there? What do you need? What can you contribute? When you are new to yoga, there is so much to learn and get comfortable with and intention is no different. It always helps me when teachers encourage intention and go a step further to suggest a few. I am strong. I am balanced. I am grace. I am peace. I am love. Broader intentions can be incorporated to your practice as well. Consider dedicating your practice to someone or something as you would a prayer. Dedicate your practice for someone who is unable to. Dedicate your practice for the healing of a community in pain or conflict. Dedicate your practice to mother earth or father creator. Intention and dedication can add meaning and depth to your practice of yoga on and off the mat. When intention becomes a regular part of your asana practice it easily begins to seep into other areas of your life. Instead of being caught up in the current of life you act with deliberate thought, effort and purpose. Intention. What intentions do you invoke during your practice? How have you noticed intentions enhancing your life off the mat?